The treatment of road traffic accidents with CBT and EMDR. Road traffic accidents are very common indeed. Even so they are also often one of the most frightening experiences many of us have in the normal course of life. It may surprise you to know that in many parts of the world traffic accidents are the second largest cause of disability and distress experienced. While here in the UK they are about fourth in terms of disability caused and distress experienced. So while they are common but have the power to turn your world upside down. When you are involved in a road traffic accident it is normal to be distressed, shaken and pre-occupied with thinking about the accident. For about 50% of people this level of distress will subside over the first few weeks after the accident. The speed of this lessening is often related to any physical injuries or pain you experience. At first physical recovery and psychological recovery seem linked. If you still experience significant psychological distress after about 4 – 6 weeks after the accident then your recovery process may be getting stuck. If you ask yourself this question it may help you to see if you are getting stuck or not. Ask yourself ‘do I feel less threatened, anxious or upset now compared to 2 weeks ago’? If your answer to that question is that things are either the same or feeling worse then your psychological recovery may be getting stuck. If you do drive you feel that another accident is going to happen at any minute. Then you may have some symptoms of post traumatic stress that are interfering with you getting on with your life as before. If the things above seem to be the sort of experience you have then you will probably benefit from a course of trauma focused cognitive behaviour therapy or EMDR. Nothing else is likely to help you with this particular problem. Counselling is not recommended neither is any treatment strategy that is not specifically focused on helping you overcome the consequences of the accident. The National Institute for Clinical Excellence (NICE) are very clear about this. Furthermore you will need to consult someone who has experience with traffic accidents and knows how to treat post traumatic stress disorder (PTSD) otherwise you are less likely to be helped. Indeed some forms of talking therapy have been known to make things worse not better. If you have been involved in a road accident and you want to talk to an expert on the resolution of traffic related post traumatic stress then please call me on 07801289787. Dr David Purves is an expert CBT psychologist and CBT therapist. I am a Chartered Psychologist and you can see my qualifications in the ‘About Me’ section of this website. But for now the important thing is that I am an expert in the treatment of trauma. I spend 10 years in and was one of the founders of the NHS Psychological Trauma Service in Reading Berkshire. I was also Head of the Trauma Service for a time. I am a Highly Specialized Consultant Psychologist in psychological trauma. I have taught many others to treat trauma and I have written and lectured extensively on this topic. 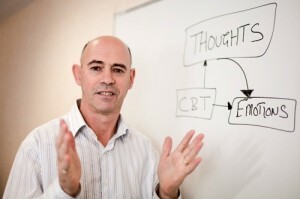 I am accredited to provide trauma focused CBT and EMDR and have done so successfully many hundreds of time. Please telephone me if you think a proper assessment and an expert opinion may settle your mind.